← creamy steamy southern chicken. I do not like the canned “cream of” soups. They are disgusting. Convenient, yes. But really gross. The way they glop out of the can. The shape it takes. And it just plain doesn’t taste good. I may be dramatic in saying this, but I can almost taste the preservatives. I really came to dislike the canned “cream of” soups as a new dietitian working on the cardiac floor in my first job as a Clinical Dietitian. A lot of people cook with these, and they are full of salt! Many people don’t even know that. The thing is that a lot of good recipes call for cream of something. I used to just use chicken broth, but it lacks flavor and a thickness that the soups provide. So now I make my own. It takes me five minutes, and it’s time well spent in my opinion! 1. 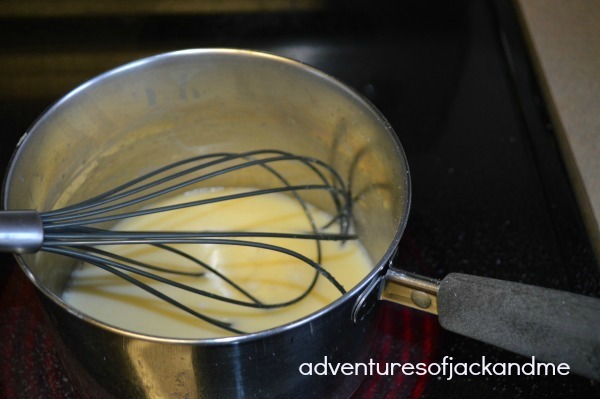 Melt butter on stove over medium heat. 2. Add flour and whisk together. Stir frequently to avoid burning! 3. After 1 minute, add the milk and chicken broth. Whisk together. 5. Add salt and pepper as desired. *this is equivalent to one can of cream of chicken soup. *you can use this recipe, substituting beef broth for chicken broth to make a suitable substitute when cream of mushroom soup is used in recipes.